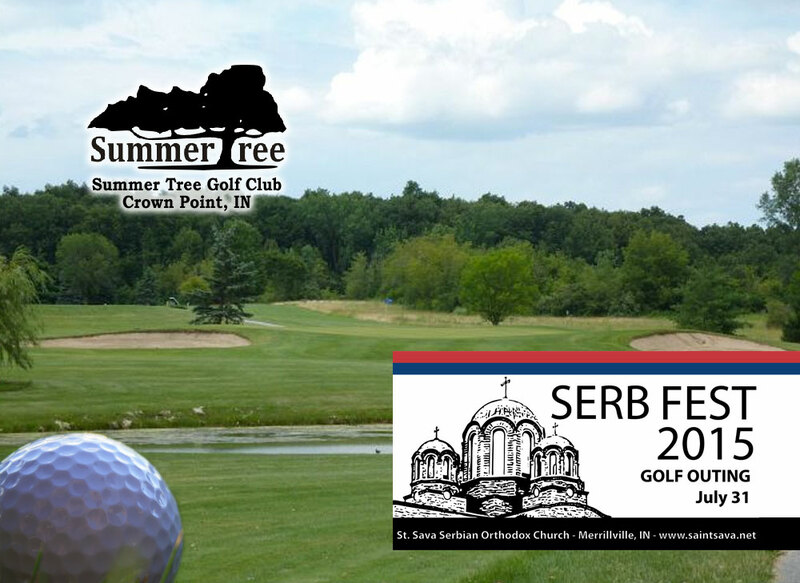 Register your foursome or individually for the St. Sava Serb Fest Golf Outing taking place Friday, July 31 at Summer Tree Golf Club in Crown Point, IN. Player check-in at the course begins at 10:00 a.m. with a shotgun start at 11:30 a.m.
Includes 18-holes of golf with cart, refreshments, lunch buffet at St. Sava with spit roasted lamb, spit roasted pig, cevaps, sarma (stuffed cabbage, salad, homemade baked goods, and two drink tickets. Registration deadline is Tuesday, July 28 – call the St. Sava Office at 219-736-9191 for more information.